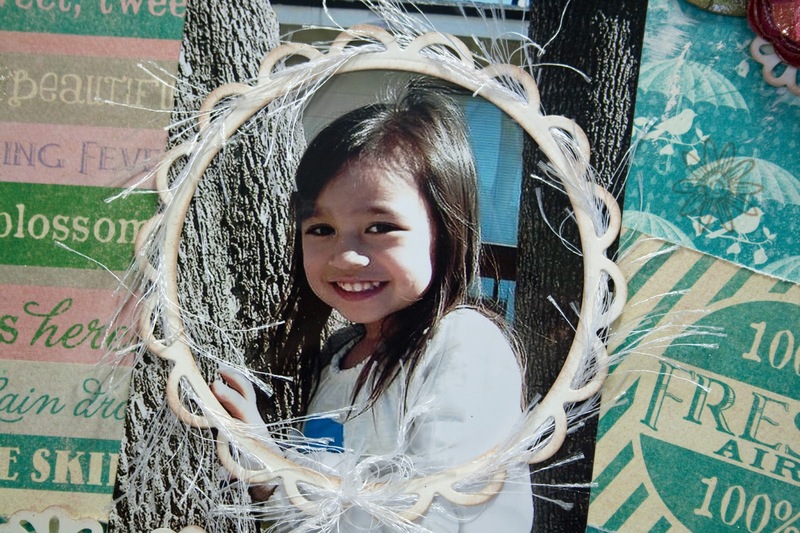 Margaret from Sparkle N Sprinkle had this adorable picture of her granddaughter and I just loved it and asked for a copy of it to scrap it for her. 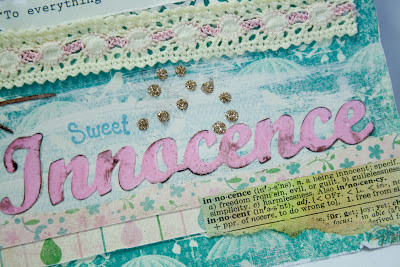 She just spoke Sweet Innocence to me, thus the title:) I used the Authentique Paper - Seasons, Spring Collection and just went to town with them! I distressed them, tore them, stamped them, inked them. 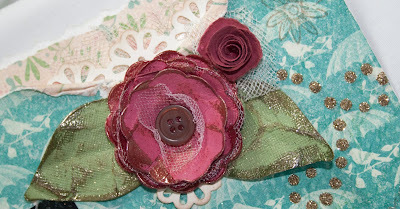 The flowers where made from Scalloped Circles cut outs from Spellbinders. I distressted them and inked the edges with Versamark and embossed the edges with Vintage EP. The glitter dot swirl was made with Dimensional Glue and Champagne Glitter. The birds are a retired Spellbinders die and I put 3 coates of Strawberry Sherbet EP on them, then stamped into it to give it texture. The tree branch was cut with my Pazzles and embossed with Caramel EP. After I embossed both the birds and branch I inked the edges with Brown Stazon. The title was cut out with the Pazzles and embossed with Cotton Candy EP More Dimensional Glue and Champagne Glitter. I also tore the word out of an old dictionary and added it. 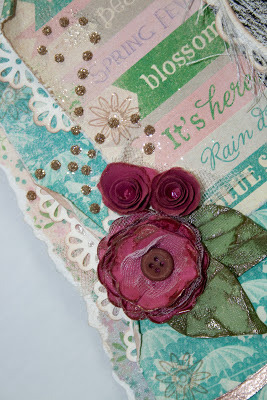 To highlight her face I used more Spellbinder dies and some fun fur. Lots going on in the page, but I think it all works together! Loved doing this page and George and Margaret loved it. You can look for it at the show this year because that is where it is ending up! Thanks for stopping by and as always I appreciate your sweet comments! What a gorgeous page!! Love how you framed her face with the die and the frill around it - so eye catching. 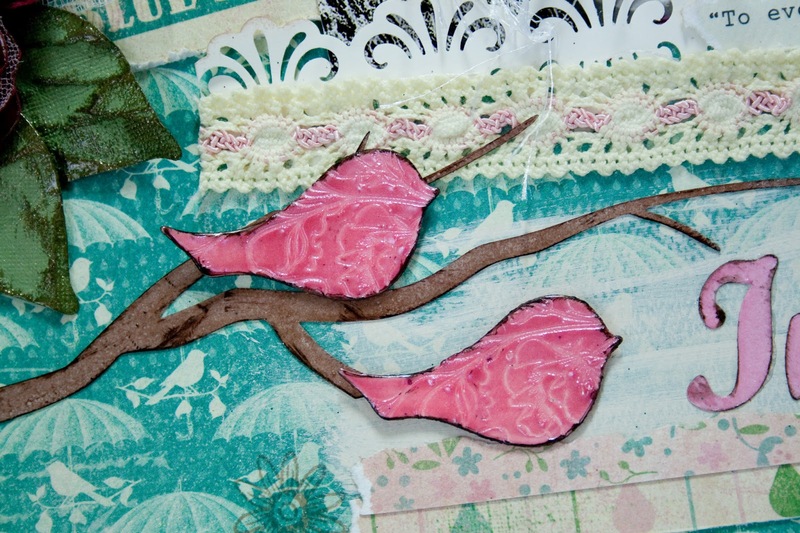 Your layout is absolutely gorgeous Jill, what fabulous colours! I love the flowers you made and was surprised to read they weren't store bought... they're amazing. It's a beautiful photo of Margaret's granddaughter and you certainly did it justice with your gorgeous page. I am surprised Margaret didn't take it home with her!! This is so precious and lovely! !